Yeah, I was afraid that i would have to cut it out. One question though, When I mentioned the problem to my uncle, who is pretty handy with these things, (not guitars though) he said that acetone would be able to break the bond between the wood and the nut. Any idea if that would work, or possible damage that may incur? I recently came upon a cheap strat that I plan on upgrading and repairing, I want to replace the nut because the person who originally installed it either cut the nut improperly, or bought a nut that was too wide. The problem is that the person who installed it, installed it with superglue. And I have no idea how to remove it without damaging the fretboard. Any suggestions? In high school I saw a shitstreak on the ceiling of the bathroom. the wood looks like basswood to me. Agile AL-3000 is my main guitar currently. What Brand of Guitar Do YOU Use? I know you wanted long posts that explain why options are good, but I'm way too lazy and tired to do that right now. after looking at these and the guitar that the TS posted, I think it's possible that it's a real Gibson. Unlike Epiphone, the guitar has a one piece neck and a one piece body, something Gibson doesn't even do anymore, it has the right tuners, knobs and other things that most fake guitar manufacturers don't bother themselves with. 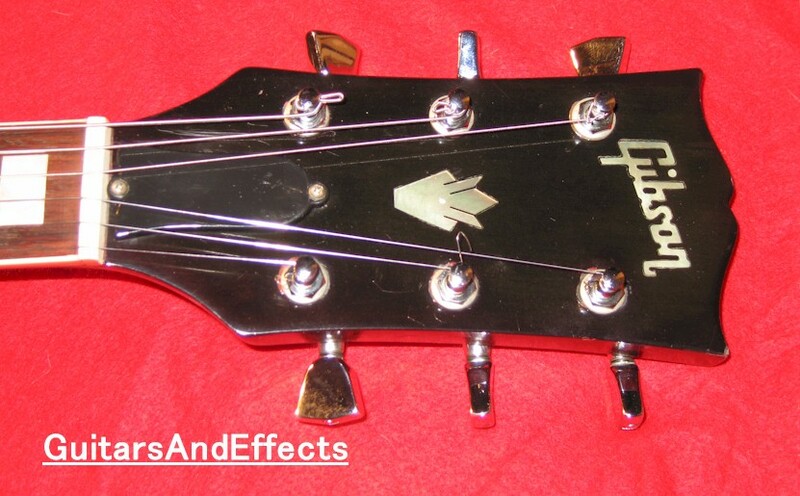 Not to mention that the headstock is angled at a proper angle. My advice: Tell the seller that you won't buy without an image of the full serial number, these can be easily checked. 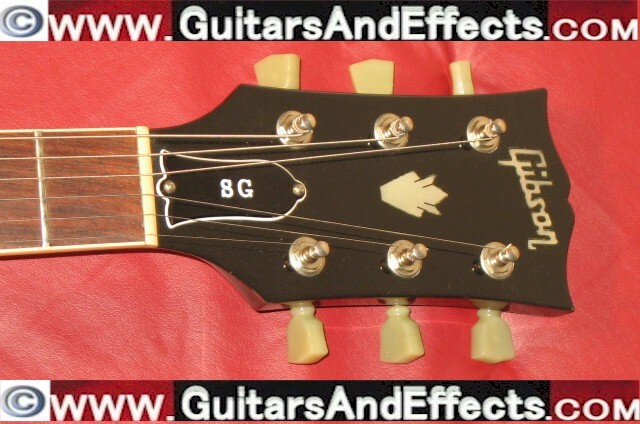 You can also e-mail Gibson themselves and send pictures to confirm that it is indeed a genuine Gibson. If that makes sense to you. You can try a pulloff on the E string part and pick the B string. If it's the same run I'm thinking of just repeat it down the frets. Anyway, lots of rock solos are like this... coming from the blues scale and pentatonics. You should get used to it, of course if this is what I think it is. They are all based off Floyd Rose! Floyd himself developed this and Kramer ran with it in 1980. This is why every other has "Licensed by" on it. There are many variants such as 85 USA Hamers trems but all are based on that same concept. off the top of my head, 5 trems that aren't based off of the floyd rose in any way. I'd personally be happy with 2 electric and an acoustic, but some people like a lot of variety. How many guitars is too much? Buying another metal guitar, looking for opinions. I'm used to strats so I play them without moving my hand up at all. I've never had a problem with it really. Volume control knob in the way of my playing. I'm pretty sure it's an old schecter. Common misconception. Hendrix could actually read music and knew advanced music theory. In his early years he was in a jazz group. The Speed King: These guys don't know what a Ballad is. They're too busy trying to catch the ooze of melted faces in their hands. They belt out endless licks played at the edge of the sound barrier, all the while making faces and grinning at the crowd. You wish you could play like them. Players in this Category include: Michael Angelo Batio, John Petrucci, Dave Mustaine. You've obviously never listened to half of Megadeth's songs. Foreclosure of a Dream, Breadline, Wanderlust, Time: The Beginning, Dawn Patrol, In My Darkest Hour, A Tout Le Monde and a ****load of other songs are examples of Megadeth songs that aren't fast at all. Don't forget Rondomusic if you're willing to order it online. Do anybody use Earnie Ball strings? Seriously though, you can get a good guitar for cheap if you know where to look. What would be a good guitar for soloing under $200? Are you looking at the VMNTX or the VMNT1? because the VMNTX is the budget copy that has a basswood body, not mahogany. Having tried both, The VMNT1 is more than worth the price, and the VMNTX is okay, worth the price, but there are much better guitars in the price range. I can do 1-7 on a 24.75 scale and 1-6 on a 25.5 scale. anything beyond 1-4 really doesn't matter though, because it would be much easier to play it on the next string up. Especially on your first lesson. Depending on the teacher you may not deal with songs at all, some teachers focus on theory, some focus on songs, some focus on technique. If you really want to prepare for a lesson, do some practice runs before you go so you'll be warmed up for it. That being said; I've had some lessons where I barely played any guitar and it was all theory based. If you're really that concerned, do this lesson and then ask the teacher something like "What should I work on for next week?" or "I'm working on this song, mind if I bring it in?" so you and the teacher can both be prepared to gear the next lesson towards something. I want to learn from this first lesson and not just show him what I can already play. It's not a bad idea to show a teacher what you can play, as a (hopefully) more advanced player, they can show you problems with your technique, small timing problems or an easier way to play it. I've decided to take guitar lessons. What should I do to prepare? I'd buy that if it had a maple fretboard, and no painted headstock. You can play metal on a strat, but it looks ****ing stupid. There's a rock fujiyama vid somewhere on youtube where he sweeps with his teeth, it's gr8. But yes I agree here. Sweeping is just one technique and there are amny great guitar players who don't do it. I had a feeling someone was going to mention this. you do know that he pre-records it on the pedal, right? I don't know any of those songs. Can you sweep? Necks are angled back all the time. With T-O-M bridges, it's quite common. Dunno about with a Floyd. It's usually only 2 degrees or so, but angled necks are everywhere. It's just not at a sharp enough angle for you to notice. looks like someone changed the tab without thinking about the symbols and whatnot. I would just play the E on the fifth fret B string. Can you make some bigger wallpapers? Cause thats what I use . Once again, amazing build man! I'll be getting one of those t-shirts too. ORMSBY GUITARS - GG6/FG - Rush Job! Thats some classy wood, so a very metal guitar wouldn't look right. you can never go wrong with the classic shape of a strat or a double cut, but I think it would make a gorgeous V. especially if you offset the stripes. I think a V would look awesome if the pinstripes were in the middle, but it would look really awkward with off-centered stripes. +1, Their customs can run from $300 to $800 depending on what you want. In this pricerange it shouldn't be a guessing game, you should either know what you want or at least have a sound in your head. Go to a local store and try out amplifiers, see which one you like most and go from there. whats your opinon on this setup? I have had excellent luck with D'Addario XL strings. I used to break strings all the time when I used Ernie Ball Slinky but the D'Addario are super reliable. I have never broken a single one since I switched almost 8 years ago. What kind of strings should i get? You don't really need a certain gauge of strings to get proper intonation, You can adjust it using the screws on the end. Starting from first fret I get get to the 7th, but I can only cleanly fret the 6th. How far apart can you stretch your index and pinky? I would die happy if I had those three guitars. Post a Picture of the Guitar you WANT.